Buying the best tennis balls for your individual needs can be tough – after all, there’s so much choice! In this buyer’s guide, we’ll outline some key considerations when buying and review 13 of the leading tennis balls for sale in 2019. There’s so many options on the market that we thought we’d outline a few key factors you should consider when buying a brand new set of tennis balls. Essentially tennis balls come in three quality tiers. The higher the quality, the higher the in-game performance. However, higher quality balls are not always more expensive. Professional-level balls – offers excellent control and power. Used by the professional players in tennis tournaments seen on TV. They’re pressurized (more on that later) so they’re not incredibly durable. Championship-level balls – they still offer great control and power but the price is generally more reasonable. Normally used by serious intermediate players and at regional tournaments. Generally they’re pressurized so they aren’t the most durable balls available. Beginner-level balls – these balls are more durable as they’re normally pressureless. However they may not bounce as well or feel the same as more expensive balls. Generally recreational players use these balls and dog owners also like to use them to play fetch with their pet. They’re also used by intermediate players for training. Pressurized tennis balls are filled with a gas to ensure a good bounce. The can they come in is also pressurized to maintain the correct outside air pressure. As a result, these balls will feel nice and bouncy when they’re first used. They’ll feel great to play with because they’re a bit lighter than pressureless balls, allowing for greater power and better control of the spin on your shots. However, eventually these tennis balls will lose their bounciness as the pressurized gas leaks from the ball’s core. This means that after around 2-4 weeks they’ll feel much less bouncy than a brand new ball. To prolong the ball’s lifespan, players like to store their balls in a pressurized environment to discourage the gas from leaking. Products such as the Gexco Tennis Ball Saver (below) allow for the correct storage of pressurized balls, maximizing their lifespan. On the other hand, pressureless tennis balls do not have pressurized cores. Instead of becoming less bouncy over time, they gradually become bouncier as the rubber core softens and the cover wears with use. However, at first they do not feel as bouncy as a pressurized ball because there is less resistance coming from inside the core. They feel a bit heavy to start with but last longer, meaning they are generally better value for money. Pressureless balls are recommended for training with a tennis ball machine, as they’re better at withstanding the force imparted on the ball as it is shot from the firing mechanism. Ultimately, it’s your choice whether you’d prefer a less durable but better-performing ball (pressurized) or a more durable but heavier option (pressureless). Obviously most tennis balls are a bright yellow/green color. Your local tournaments may require you to play with your own green balls. However, tennis balls come in a range of colors. A green and red color combination allows you to more easily notice spin on the ball, making these balls a great option for training. Pink, orange and blue varieties are also available. These can be good options if buying for a pet, as green balls can go missing in bushes and tall grass quite easily in our experience. The pro-level balls are the most expensive tennis balls on the market. In return you get more power and better control over spin. However, for the most part, most tennis balls will cost around a dollar each, unless you’re buying in bulk. This is because the better, pressurized balls will be less durable, so only serious and intermediate players buy them. On the other hand, pressureless balls are more popular because they last longer, despite not performing as well. Even the best players will use them for training at times. The end result is that most balls cost a similar amount. You just need to determine whether you’d prefer durability (pressureless) or performance (pressurized). Or, you can buy some of both, the more durable balls for practice and the more expensive balls for tournament play. Obviously when buying for casual use or for your pet, a beginner’s ball is your best option as performance isn’t such an issue. Durability is the key factor for casual players. Different tennis balls are designed for different tennis court surfaces. 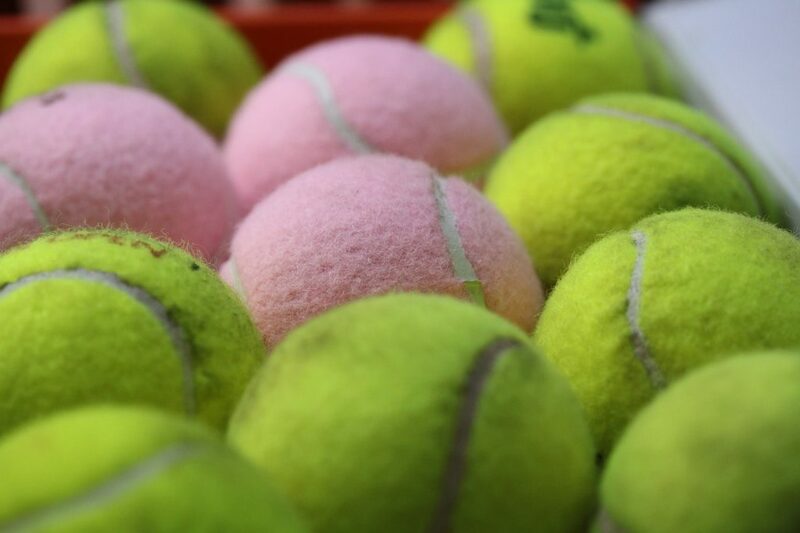 For hard courts, grass and synthetic turf surfaces, you’ll want extra duty tennis balls. These tennis balls have a thicker felt c which makes them more durable on unforgiving surfaces. 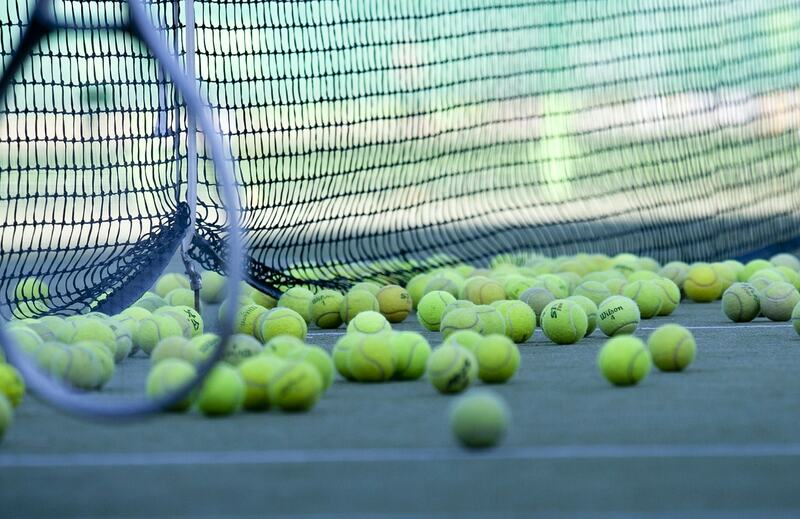 If you’re playing on a clay court, you’ll want regular duty tennis balls. With regular duty the felt is a bit thinner, ensuring that the ball doesn’t pick up too much clay. Now onto the reviews! As we discussed earlier, if you’re playing on a hard court or grass, you’ll want extra duty tennis balls to withstand the harder surface. If you’re looking for the best possible quality in an extra duty tennis ball, the Slazenger Wimbledon is a fantastic option. These balls are super hard from the moment you open the tin, but their bounce is nice and consistent – they’ll take a fair amount of thrashing before they lose their spring. Slazenger advertises that the Wimbledon can be used on all surfaces, including clay. To make this work, the company has made the felt surface relatively thin. This isn’t necessarily a bad thing if you play on hard courts – in fact it makes the ball more durable as it doesn’t lose its fluff very easily. As you can see in our video (below) the ball comes with small bumps on the plastic seam from where it has been moulded. This doesn’t affect its performance in-flight. Consistent – keeps its bounce well. None available – excellent ball. As the official ball of the US Tennis Association (USTA), the Penn Championship extra duty is perfect for the intermediate player. Featuring a pressurized rubber core for a consistent bounce, these balls have great control and power for the price. What’s more, the Penn Championship ball is incredibly durable due to its deep elastic seams. The cover can withstand days of play on a hard/grass court due to the extra duty interlocked wool surface. Overall, these balls are an excellent option for intermediate hard court players due to their reasonable price and good durability. None to mention considering the price! Wilson also offers an excellent championship-level ball for hard court and grass court surfaces. Like Penn’s ball, the Wilson Championship features the company’s “Dura-Weave” felt, resulting in excellent durability without sacrificing performance. They’re slightly firmer than the Penn Championship, which may be a good or a bad thing depending on your personal preference. As a championship-level ball, this product is great value for money, especially when bought in bulk. They’re sold in lots of 1 can up to 24 cans, allowing you to buy just the right amount for your individual needs. Offers good control & power over your shots. Once again we can’t fault these balls. If you’re looking for the best possible tennis ball performance on a hard court, it’s worth paying a bit extra. The Wilson US Open tennis ball is a fantastic professional-level option. Featuring a pressurized core and a premium Tex/Tech surface, the ball has great in-flight performance. These are the exact balls used in the US Open, so they’re designed to the highest possible quality in terms of in-game performance. Despite offering amazing control and power on your shots, these balls aren’t much more expensive than a championship-level ball. However, the downside is that they’re not incredibly durable. Due to the pressurized core, they can wear out quite quickly if not kept in a pressurized container. Offers exceptional control and power. Consistent performance on hard courts. Another professional option is the Dunlop Grand Prix hard court ball. Although this ball isn’t specifically advertised as extra duty, it is designed for maximum durability on hard/grass courts. In fact, it tends to last longer than the Wilson US Open ball, making it a great choice for top-level players. Dunlop has managed to produce a ball that performs nicely as well as being ultra-durable. The company has a secret recipe of 14 ingredients which make up the pressurized rubber core of this ball, resulting in a nice response when the ball is hit. Plus, the neon cover is designed to be extra-bright, which is a good feature to have when playing at dusk. The ball is even USTA approved for league and tournament play, and is priced very reasonably considering its performance. Looking for the case of 24 cans? Click here to view it on Amazon.com. Awesome feel when striking the ball. Good durability for a pressurized ball. N/A – great ball for the price. If you play on a clay court, you’ll want a regular duty tennis ball to avoid having the fuzz pick up too much clay. As with extra duty balls, there are championship and professional-level options available. Like with their extra duty championship option, Penn’s regular duty ball is an excellent option for intermediate players. This ball is designed for a more consistent bounce on clay courts, featuring a thinner fuzz on the surface. Despite this, the interlocked wool fiber is very durable. The deep elastic seams help to reduce cracking, further increasing the ball’s longevity. In regards to performance, the pressurized rubber core reduces arm shock when the ball is hit, lowering the chances of developing injuries such as tennis elbow. The price is also very reasonable for a pack of 36 balls. Pressurized – solid in-flight performance. Nothing to mention – superb ball for the price. Essentially, both Wilson and Penn make a regular duty version of their extra duty championship balls. These versions offer similarly excellent performance for the same reasonable price. Wilson’s Dura-Weave felt maximizes durability without compromising performance. These balls have a nice bounce (they’re a bit firmer than the corresponding Penn ball). The pressurized core offers a great feel when striking the ball, while also allowing you to control placement and spin with ease. Nice and firm – nice bounce. Like with the extra duty version, this ball has no real cons considering the price. 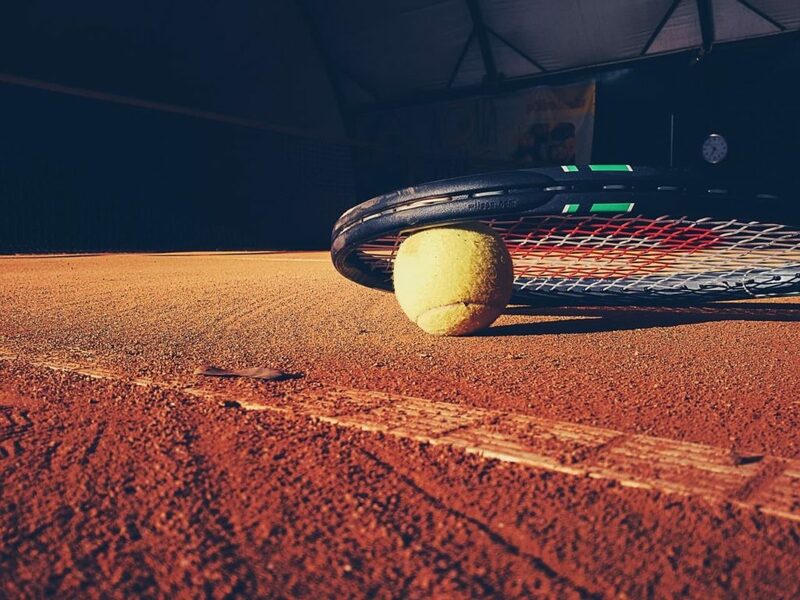 Looking for a professional option on a clay court? The Penn ATP ball has you covered. As the official ball of the ATP World Tour, Penn’s tennis ball is designed for maximum brightness when playing at night. Its actual performance is top-notch, the pressurized core allowing both power-hitters and more controlled players to excel with this ball. Penn’s pro tennis ball is also renown as one of the most durable pressurized balls on the market, typically lasting for at least 3-4 sets. “LongPlay” felt technology withstands surface wear for the lifespan of the ball, improving longevity. The only downside is the price, as this ball is one of the more expensive options on the market. Realising that serious players needed a durable pressurized ball that performs as well as their ATP World Tour model, Penn designed the Marathon tennis ball with longevity in mind. “Encore” technology ensures that the core lasts for numerous sets without losing its bounce. Also, the LongPlay felt surface is designed to maintain your ability to control the spin on your shots even after the ball has been smashed hundreds of times. 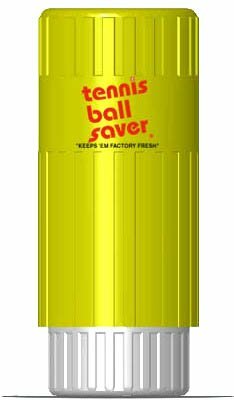 Although slightly expensive, if you’re looking for a ball that’s going to play really nicely but also last a long time out of the can, this is probably your best bet (for clay courts). As they’re so popular with semi-pro and professional players, Penn sells these balls in cases of 72 so that you have enough to last the season. Good control over spin & placement. If you’re looking for an ultra-durable tennis ball for training that feels similar to a pressurized option, buying a pressurelss tennis ball is probably your best option. The following pressureless options are sold in bulk, minimising the time taken to retrieve balls when practising your serve or another shot in your arsenal. Like with their pressurized balls, Penn focused on maximizing durability in designing their pressureless models. However, these balls are much more durable than their more expensive counterparts such as the ATP World Tour ball. As a result, they can withstand months of use in training, even when fed through a tennis ball machine on a regular basis. You even get a handy bucket with a handle to carry your crisp new balls in, and the price for this lot is very reasonable. However, these balls aren’t quite as bouncy as a pressurized option, although they do become a bit springier over time as the rubber core softens. Good quality felt surface – feels similar to a more expensive ball. Not quite as bouncy as a pressurized ball. Looking for the best value pressureless tennis balls on the market? Already have something handy to carry them in? Tourna’s pressureless ball is your best bet. Per ball they’re cheaper than Penn’s pressureless option, while featuring a similar level of durability. Tourna advertises that they will never lose their bounce, which proves to be true more often than not. With 60 balls you’ll have enough to train with even if you somehow manage to break a few. What’s more, these balls have a regulation bounce and a regulation size. However, they can feel a bit hard at first. Eventually though after some solid hitting, the rubber core softens up a bit, making the ball suitable for training and casual matches. Doesn’t feel quite the same as a pressurized ball, not a problem for casual players. When buying a tennis ball for Fido, durability is your #1 concern, so that’s what we’ve assessed here. You’ll also probably want to buy a decent amount of balls, as they can get lost quite easily. Even the most durable of tennis balls won’t stand up to the might of your dog’s teeth forever! Because they’re designed for training, these tennis balls are ultra-tough so that they can withstand repeated hits. For small and medium dogs, these balls should last you a decent amount of time. However, if your hound is larger than a golden retriever they should be able to tear them up relatively quickly. Go for our #13 pick (below) if you think you need a more durable ball. The benefit of these balls in particular is their bright green/yellow and orange surface, which does a really good job of helping you to spot them in bushes and long grass. Nice visibility – very bright. Regulation size – not easily chewed by smaller dogs. Technically these are “proper” tennis balls designed for intermediate-level matches. However, they’re also great for use with your pets. Because they’re designed with durability in mind, they withstand chewing from most small, medium and even large dogs. The Dura-Weave surface won’t degrade easily even when it gets wet, allowing your dog to grip the ball in all weather conditions. Plus, you can buy these balls in a can of 3, meaning if your dog isn’t one to gobble up tennis balls you can just buy what you need. The high-visibility pink surface ensures they’ll stand out at the dog park and in most natural environments. Wilson even promises to make a donation to the Breast Cancer Research Foundation (BCRF) with each purchase, allowing you and your hound to play in the knowledge you’ve made a contribution towards hopefully curing this terrible disease. Bright pink – highly visible. Good bounce – dogs love to jump after high balls! N/A – your hound will love these balls. Buying a tennis ball can be a bit confusing. You can pay more and get a ball that won’t last as long as you thought it would if you’re not careful. To ensure you get the right set of balls, ask yourself how often you want to be buying new tennis balls. If you don’t mind buying them regularly and want the best possible quality, buy pressurized balls (extra duty or regular duty depending on your court type). On the other hand, if you’re a casual player (or buying for a dog) who wants something that’ll last, get some pressureless/beginner tennis balls. Need a racquet to go with your new balls? Check out the best tennis racquets for sale right now.